Bridget McNamer and I write to inform you that, after a highly competitive search which attracted many strong candidates, the American School of Doha (ASD) Upper Elementary Principal search has been completed. The Head of School, Dr. Tom Hawkins notified us that Kristen Schroeder has been selected as the new Upper Elementary Principal. Ms. Schroeder will begin in July 2018 for the 2018-19 academic year. Ms. Schroeder is currently the Principal of Valhalla Elementary School, Federal Way, Washington, USA. Prior to her current position, she was elementary principal at two other schools in the State of Washington for a total of 13 years. She has taught at the elementary level for 13 years in a variety of roles including classroom teacher, gifted specialist and building learning specialist. This is her first international school administrative position and she is very excited about joining the school and community in Doha, Qatar. Ms. Schroeder earned a BA in Education and an MA in Literacy Education from Pacific Lutheran University. She obtained her Administrative Certification from the University of Puget Sound and is currently doing course work for a Ed.D. at Washington State University. The American School of Doha (ASD) is an English-language day school offering an American curriculum, pre-kindergarten to grade 12, for expatriate families and Qatari nationals who seek a comprehensive, caring, American standards-based curriculum program in an international setting. ASD is an independent, non-profit, coeducational day school operating under the policies and by-laws of a twelve-member Board of Directors and a nine-member Board of Trustees, which is chaired by the U.S. Ambassador. 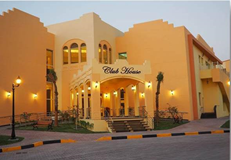 The American School of Doha was founded in 1988 and opened in a villa to serve a small number of expatriate families. With increasing demand for high quality education in Qatar, a new campus was opened to house 600 students in 1998-99, and with the explosive growth of Qatar in 2005, a new expansion project was undertaken that resulted in a new middle and high school on adjoining land and a complete renovation and expansion of the old campus for the elementary school. From 2013-2017, ASD underwent a $35M Campus Improvement Project to increase capacity and improve facilities across the entire school. This Campus Improvement Project has maximized the school footprint to allow for enrollment of up to 2250 students from Pre-K to grade 12. The surge of growth in ASD has resulted in the creation of a progressive school with an impressive and varied program that serves students from over 75 countries, including approximately 50% from North America and 10% from the host country of Qatar. The academic program has been a forerunner in professional learning and curriculum development, and the school enjoys a worldwide reputation for excellence. 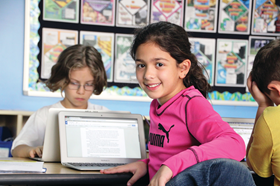 Elementary and Middle School students follow a U.S. standards-based curriculum in a comprehensive school setting. High school students have the opportunity to choose from the Advanced Placement program and the IB Diploma program as part of their American high school diploma. ASD is fully accredited by the New England Association of Schools and Colleges and a certified IB Diploma School. The ASD community is constantly renewing and challenging itself through an active strategic planning process, which ensures that the mission, vision and core values of the school are the guiding statements for all decisions. This is a community-wide process and involves parents, students, teachers, administrators, and board members. The American School of Doha is committed to the intellectual and personal development of our students, inspiring and empowering them to become positive, active global citizens. ASD is…where students are encouraged to extend their own learning. Instructional strategies that are developed through research, collaboration, and evidence of student success. Skills in analysis of evidence of learning to ensure that we are achieving our learning targets and implementing differentiation where needed. Although over 50 percent of our students are North Americans (45 percent U.S. citizens & 10 percent Canadians), diversity is viewed as a strength of the school and is one of the experiences that our students refer to most when reflecting on their education at ASD. With more than 70 countries represented in the student body, diversity is truly a strength of ASD! The majority of our high school graduates attend colleges and universities in North America, and many of our Qatari students are opting to attend one of six prestigious American universities at Education City in Doha. 98 percent of our students continue their education after high school in North America, Qatar and in more than 20 countries around the globe. 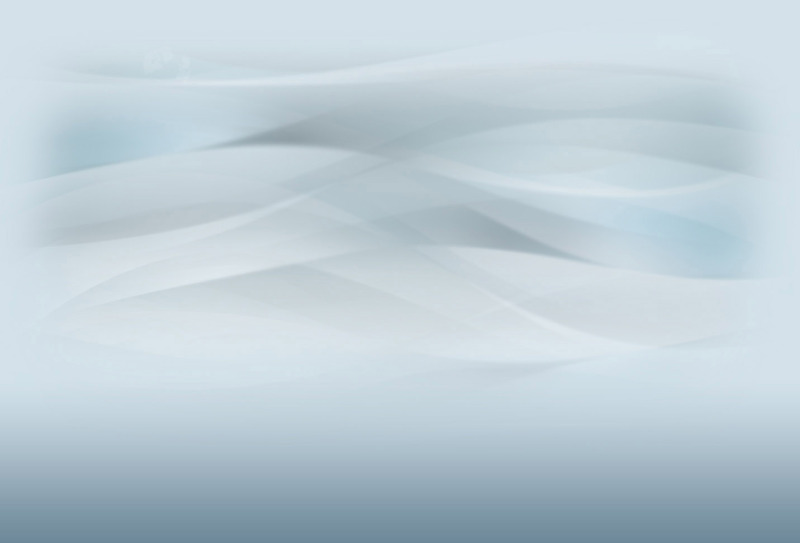 Qatar is a leading center for the development and production of LNG (liquefied natural gas). The expatriate community has grown rapidly over the past several years as a result of the many projects associated with the gas and oil industry in Qatar. However, other initiatives by the Qatar government, especially in the areas of education, sports, and health services have widened the array of expatriates moving to Qatar. This, along with ancillary services in banking and construction, has made Qatar one of the great stories of the early part of the 21st century. In recent years, Qatar has taken on a multitude of impressive construction projects, including a new skyline in the city as large-scale buildings are erected. The Pei-designed Museum of Islamic Art on the Corniche, a new airport, and the sporting facilities constructed for international competition are some of the best in the world. In 2022, Qatar will host the FIFA World Cup. Doha continues to invest heavily in infrastructure and cultural development to ensure its place on the world stage. Safe and modern, Doha is both an exciting and an easy place to live and work. The ASD faculty consists of 230 teachers who are primarily from North America. In recent years, the staff has become more diverse, with the addition of teachers from Australia, New Zealand, South Africa, and the region. Over 60 percent of the faculty has advanced degrees. The upper elementary school is led by the principal, who, along with a full-time associate principal, two counselors and one librarian, provide great experiences and guidance for our more than 500 upper elementary school students. The faculty is housed in a state-of-the-art, purpose-built family compound with resort-like facilities, including pool, tennis courts, sauna, fitness center, restaurant and all the amenities needed to live comfortably. The school provides busing to and from the compound for staff (and children of staff) as part of the compensation package. 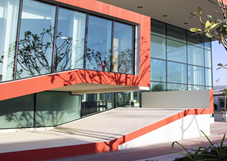 The American School of Doha, with its contemporary glass design and geometric canopies, is a work of art in itself. 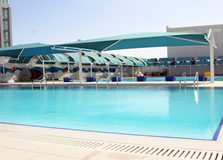 The lush campus of twenty acres is one of the greenest and most enjoyable in all of Doha. 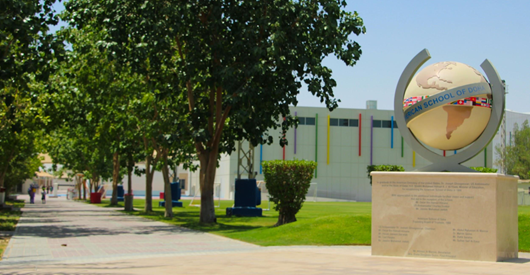 The campus currently provides state-of-the art facilities, including a new elementary library with a new “maker space”, a new learner’s pool, an enclosed early childhood play courtyard, a greenhouse, two 25m swimming pools (one outdoor and one indoor), a full-sized soccer pitch, a smaller soccer field for elementary, the only baseball diamond in Qatar, a 400 meter track, an indoor climbing wall, a theater for 630 people, four elementary music rooms, seven purpose-built art rooms, three computer labs, two cafeterias, a middle/high school library, three presentation rooms, ten science labs, a central office complex, a drama room, two tennis courts, three covered playgrounds, and an extensive fitness center. The Upper Elementary School Principal is the learning leader in the upper elementary school and a member of the school’s Leadership Team, reporting directly to the School Director, Dr. Tom Hawkins. Collaborating with the Upper Elementary School Principal and Director on the leadership team are the Director of Finance and Operations, divisional Principals and Associate Principals, IT Director, Director of Teaching and Learning, Director of Human Resources, Director of Activities and Athletics, Director of Security and Operations, and Director of Admissions. The Upper Elementary School Principal is responsible for managing the daily operations of the upper elementary school division, providing leadership in assessment, and development of the instructional program. The Upper Elementary School Principal is tasked with developing a collaborative, innovative, and nurturing environment for staff and students; promoting respect among staff, students and parents; assigning, scheduling, supervising, and evaluating more than 50 upper elementary school faculty and staff; and representing the school positively within the broader school community. The successful candidate must be energetic, well versed in educational pedagogy, experienced with and supportive of standards-based curricular programs, able to inspire confidence in his or her faculty, and fulfilled by working closely with students in their activities and day-to-day life at ASD. Champions the implementation of the strategic plan and upper elementary school initiatives. Directs the upper elementary school curricular objectives and professional learning goals. Establishes and assesses yearly upper elementary school goals. Represents the upper elementary school on the Leadership Team along with an associate principal. Understands and knows standard based curricula and is able to assist in the implementation of the curriculum in collaboration with the Director of Teaching and Learning. Manages change and encourages innovation, communication and healthy risk-taking. Collaborates with teachers on individual goals and provides timely and thorough analysis of teacher performance through implementation of the school’s Professional Growth and Collaboration (PG & C) process. Recruits, hires, evaluates and develops high quality, committed faculty and staff. Establishes upper elementary school professional development needs within the strategic plan and upper elementary school goals. Communicates effectively with the divisional staff to ensure alignment and collaborative decision making. Liaises between Board of Directors, Director, Leadership Team, parents, staff and students. Maintains regular written communication with faculty, parents, and students. Articulates the upper elementary school program and initiatives through open houses, Parent Advisory Forum, parent conferences and other venues as needed. Understands and effectively articulates the school’s values, strategic plan, board policy, and established procedures. Oversees procedures for reporting student progress to students and parents on a regular basis. Plans and implements a master schedule which ensures that each student receives the full benefit of the program (both curricular and co-curricular). Responsible for effective development and management of divisional budgets and procurement. Plans, organizes, and oversees the development and implementation of upper elementary school emergency procedures in coordination with the other divisions and Director of Security and Operations. A collaborative, dynamic, and self-motivated individual with a passion for providing the best possible educational experience to upper elementary school students. Proven multicultural awareness and sensitivity in meeting the needs of a diverse student body. Collegial, open, forward looking and proactive, and an advocate for upper elementary school students, faculty, staff, and families. An individual who enjoys interacting with students and playing a vital part in their lives. Communicates effectively in written and oral formats. Well versed in technology and its use within the classroom for effective student learning. Models a collaborative and supportive approach to problem solving. Innovative and creative, models the values and direction of the school. Demonstrates success in people development, team building and leadership. Unquestionable personal integrity and professional ethics. Minimum of MA or MED or equivalent in Educational Administration/Policy, Educational Leadership, or similar field, with principal certification required within two years of appointment. Successful experience as Principal or Associate Principal in an elementary school setting. Demonstrated excellence in leading people, managing processes, and improving learning. Exceptional knowledge of best practices in curriculum, assessment, pedagogy, and data driven decision-making. Five or more years of successful teaching at the elementary school level. Experience in an international and/or multi-cultural environment. ASD offers a highly competitive compensation package for this position in a country with no income tax. This position will begin August, 2018. Retained as consultants for this search are SEARCH Associates David P. Cramer and Bridget McNamer.